My kids love the name of these. I had never made them until this last Christmas. We make so many different kinds of cookies at Christmas that I rarely bake them the rest of the year. We are having Mexican (yes, again) tomorrow night when my dad and his wife visit. I don’t know what’s gotten into me. I came back from Florida and all I want is Cuban and Mexican food. Well I was going to make a flan for dessert and chill it overnight but I was two eggs short. I’m sure there are two waiting in the nesting boxes of the hen house, but it’s so soon after having temps. in the 90s while we were on vacation to go out there feeling around for eggs in our 40 degree weather so I made cookies instead. We used to go to a little Mexican restaurant in the town we lived in when Hubby was stationed in WA. Like fortune cookies at a Chinese restaurant they gave you little, complimentary, cinnamon sugar cookies with your bill. T’hey were different but reminded me of Snickerdoodles. 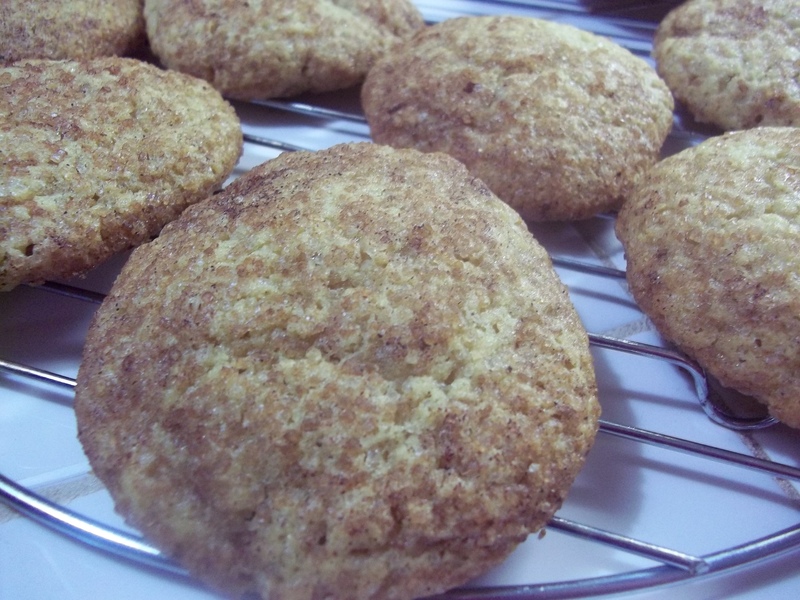 So whether or not I get my stuff together first thing in the morning to bake a flan, we will at least have cookies. Heat oven to 350 degrees. 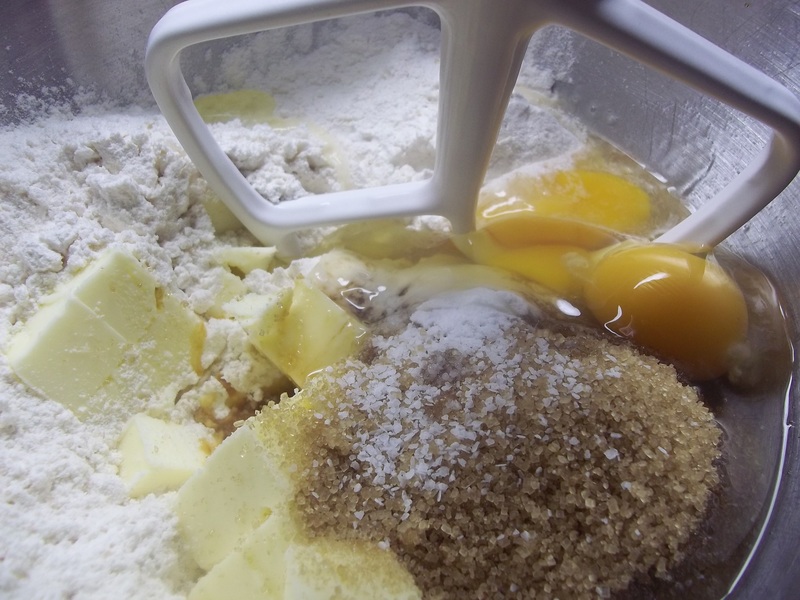 Place all ingredients but the additional sugar and cinnamon into the bowl of a mixer. Beat until combined into a sticky dough. 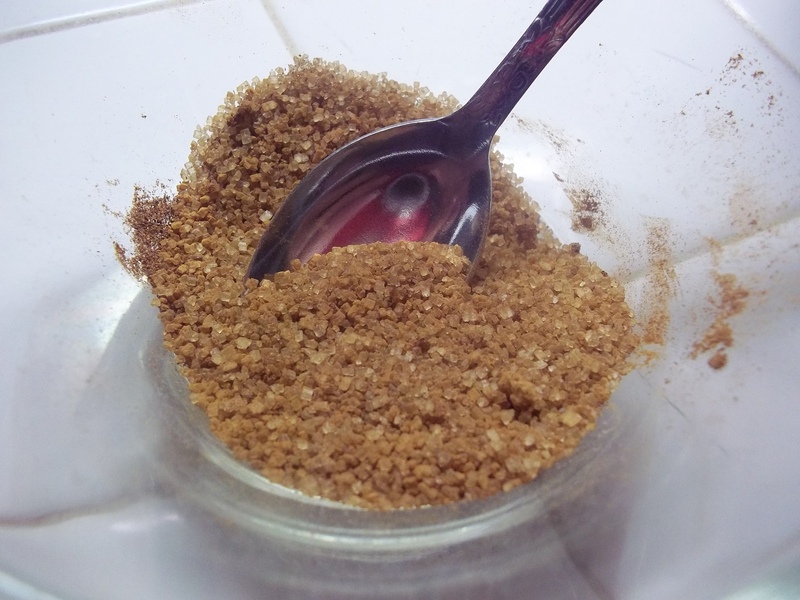 Combine cinnamon and sugar. 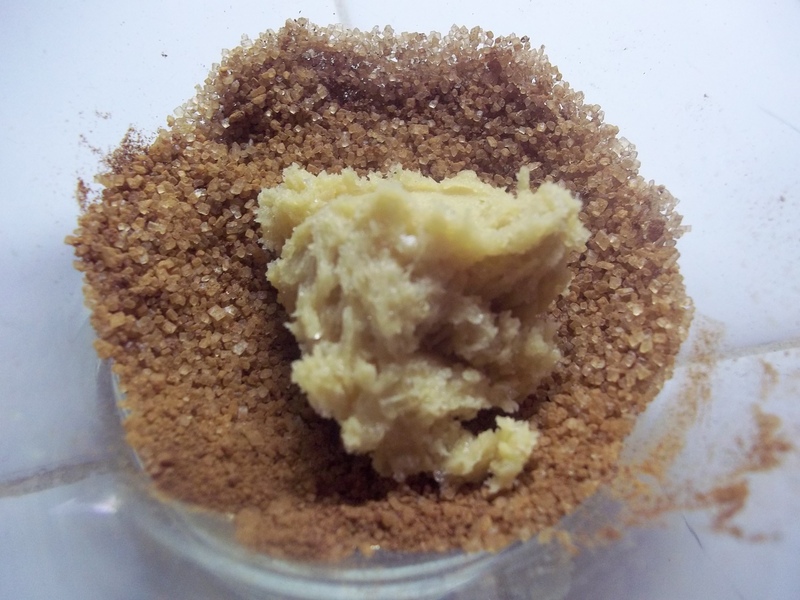 Drop dough by rounded teaspoons full into cinnamon sugar. Coat surface and roll into a ball. 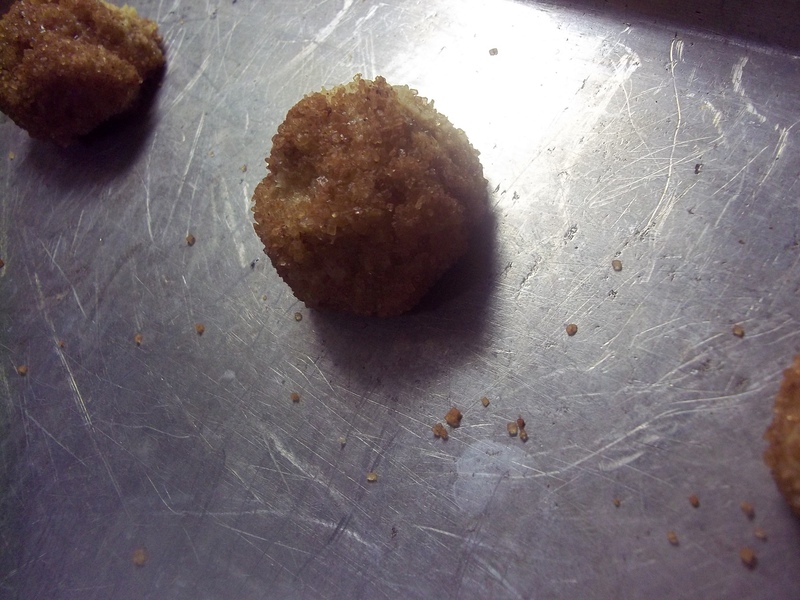 Place balls 1 1/2 inches apart on baking sheets. Bake for 10 minutes. Remove from pans to cooling racks. 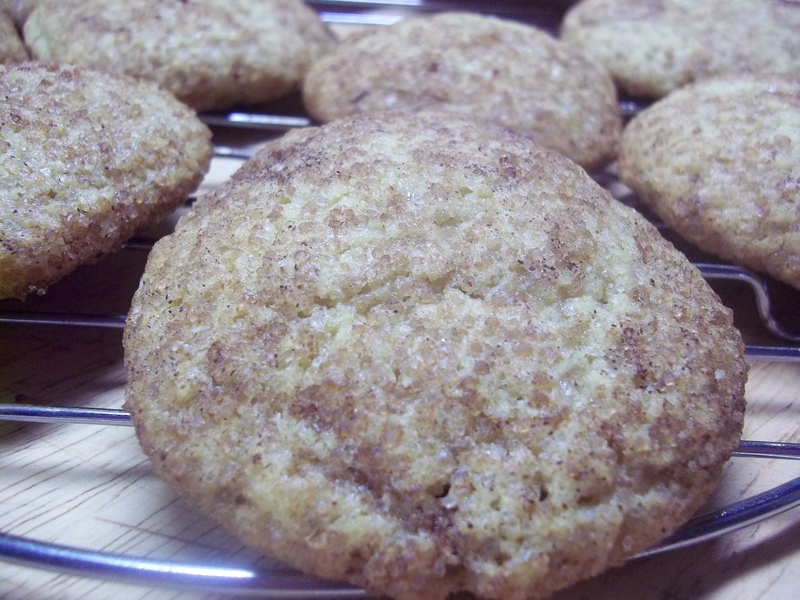 Note: For crisper cookies, use only one egg. Turbinado sugar was used in this recipe, but white granulated can be substituted.